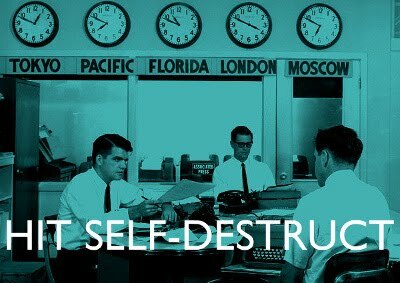 Hit Self-Destruct has all the luck. Writing about GDC is just as exhausting as the show itself, and instills a deeper sense of frustration and self-loathing. The GDC pass was in fact a millstone around my neck and every session I attended has been repossessed of any enjoyment I might have gained for having to dutifully type it up back home. Then there are the breaks. On Wednesday there was a panel called Deconstructing The Best Interactive Storytelling. Each panelist presented two games and explained why they liked it. It was the most straight-forward interpretation of a panel possible, wrapped in a weak thesis: Moderator Richard Rouse III proposed something about game storytelling, when done well, being able to compete with any other medium, and this was resolved, as an afterthought, with choruses of "well," "uh," and "maybe one day." There's a special industry term to describe blog posts that describe about panelists describing games they like, and that's "dreadful." The slides are all online, anyway; another reason why I don't have to cover this panel. But manly it's because I covered it already. The panel's premise was exactly what I used to do on Hit Self-Destruct, right down to the lame stab at relevancy. Marc Laidlaw brought up Thief, which was the first real blog post I ever did. Ken Rolston talked about Planescape: Torment and D&D acting as a barrier to entry. Rouse liked Ico and BioShock, the latter of which I have done nothing but write about. Other games the panel didn't have time to cover included Myst and Portal. Call it narcissism if you want but I call this my blog in an alternate universe; some crazy, wonderful dreamscape where black is white and blogs are panels. To give my competition its due credit, it was presented by professionals and people showed up to hear them talk. They definitely have the edge. Clearly all the evidence supports the conclusion that our fates are intertwined and shall run parallel until the end of our lives. I predict by next year these guys will sport a hot new design and facetiously threaten to abandon their unpopular panel. Likewise, I gained a valuable glimpse into the type of audience interaction I can expect in Hit Self-Destruct c.a. 2009: during the Q&A, one guy enthused wildly about Steve Meretzky having picked the 1990 LucasArts game Loom and asked "Have you heard if there will be a sequel?!" It was a sad moment not bested until another guy walked up to the mic and said indignantly "I would like to know why Max Payne was not on your list!" Behold, my future. I love it.